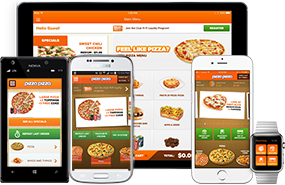 Here are a few simple suggestions that we think will help you to help us ensure your Pizza Pizza ordering experience is as enjoyable as possible. We suggest you place your order 48 hours in advance and order to be delivered 15 minutes in advance of the time scheduled for serving, just to give yourself enough time to organize and check the order. If you´re feeding children ages five and under, consider purchasing our party size (15″ x 21″) pizzas cut into 20 squares – it´s good value and kids go wild for squares! Have enough volunteers ready to assist with serving pizzas – older students make great helpers. To avoid any inaccuracies, assign one of the volunteers to count the pizzas upon arrival. Also, make sure everyone knows that keeping the pizza box lids closed is the best way to keep your pizzas warm. Please have your phone number and the delivery address ready before calling. Upon placing your order, ensure you´ve requested enough napkins for your event. Children with allergies? 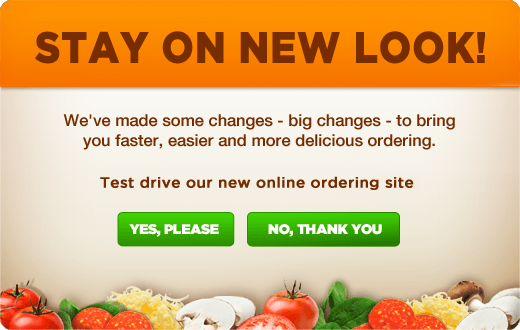 Let us know when ordering. *Kid’s Club is available in select regions. Need to Talk it Out? Not entirely sure what you want to order? Still have some un-answered questions? Get in touch!